The conclusion reached by examining multiple intelligence sources, Washington Post cites anonymous sources. The newspaper cited four anonymous sources. "The CIA’s assessment, in which officials have said they have high confidence, is the most definitive to date linking Mohammed bin Salman to the operation and complicates the Trump administration's efforts to preserve its relationship with a close ally," the Post wrote. According to the article, the CIA reached its conclusion by examining multiple intelligence sources, including a telephone call between the Saudi ambassador to the U.S. and the prince's brother, Khalid bin Salman, with Khashoggi. Anonymous sources who spoke on condition of anonymity said Khalid told Khashoggi he should go to Saudi's Istanbul Consulate for documents he needed to get married, assuring him it would be safe. 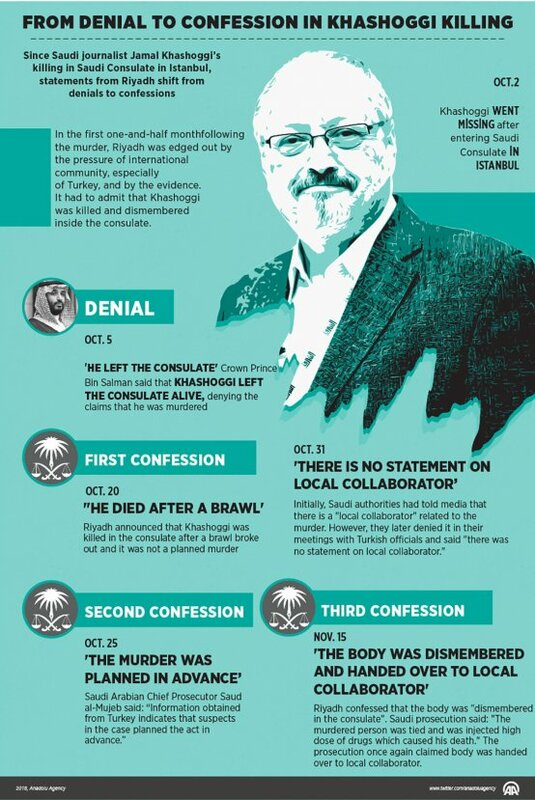 "It is not clear if Khalid knew that Khashoggi would be killed, but he made the call at his brother’s direction, according to the people familiar with the call, which was intercepted by U.S. intelligence," the Post wrote. "CIA’s conclusion about the Crown Prince's role was also based on the agency’s assessment of the prince as the country’s de facto ruler who oversees even minor affairs in the kingdom," the newspaper wrote. "The accepted position is that there is no way this happened without him being aware or involved," the post said, citing an anonymous source.